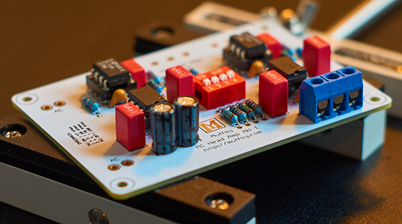 The Muffsy Phono Preamp PP-4 kit is available from $89 + shipping. Visit my Tindie shop to buy your own Muffsy Phono Preamp Kit! Choose between NE5532AP and Burr-Brown OPA2134PA + LM4562 operational amplifiers for your Muffsy Phono Preamp PP-4. Please note that an enclosure is not included in the kit. See this page for options. The Muffsy MC Head Amp kit is available from $89 + shipping. Visit my Tindie Shop to buy it. The Muffsy MC Head Amp lets you use a low output MC cartridge (LOMC) with the MM phono stage of your choice. The Muffsy Hifi Dual Power Supply Kit is available at $39 + shipping. The Muffsy Hifi Dual Power Supply uses a 15-18 VAC wall adapter, so you don't have to handle mains power. Please note that the AC wall adapter is not included in the kit. See this page for options. 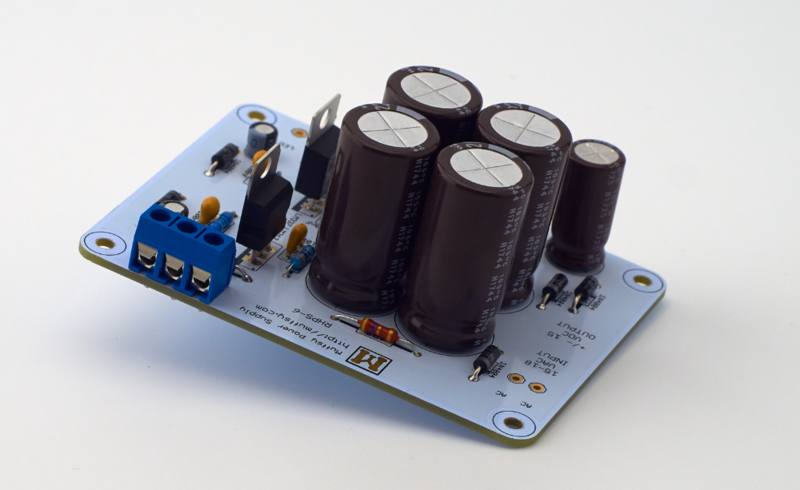 This +/-15V regulated dual power supply has only 0.1 mV ripple. The PSU provides up to 200 mA of power, with heat sinks mounted. It will power four of the Muffsy PP-4 without the heat sinks. It is designed for hifi equipment, such as the Muffsy Phono Preamp or other high quality preamps. There is also a second regulated DC power supply on-board, capable of delivering 0.5A of 15V DC. It even has space for a current limiting LED resistor. 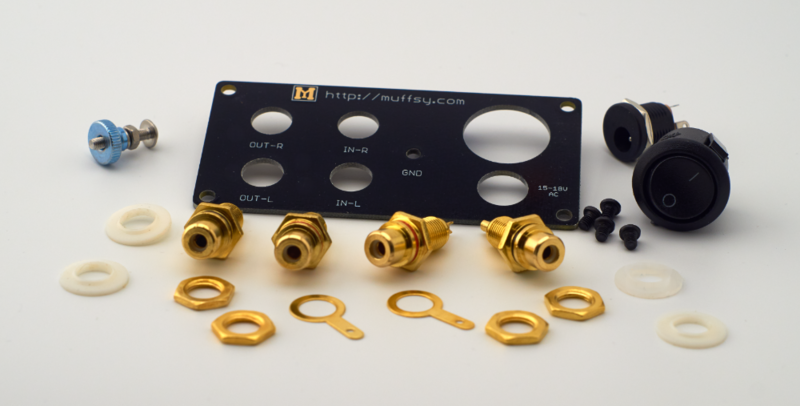 The Muffsy Back Panel is a perfect fit for a B0905 cabinet, and is delivered with the all necessary components at $25 + shipping. The Muffsy Phono Preamp is made to fit perfectly into a B0905 cabinet without any need for drilling or other modificatons. Here's the back panel to complete the build. 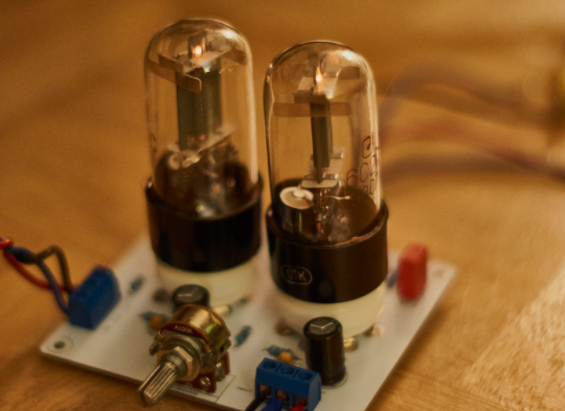 This great Class A Tube Preamp is sold as two PCBS, the preamp itself and a power supply. Visit the hackaday.io project page for a wealth of information. Due to the fact that this preamp is sold as PCBs only, there is no support offered on this product. 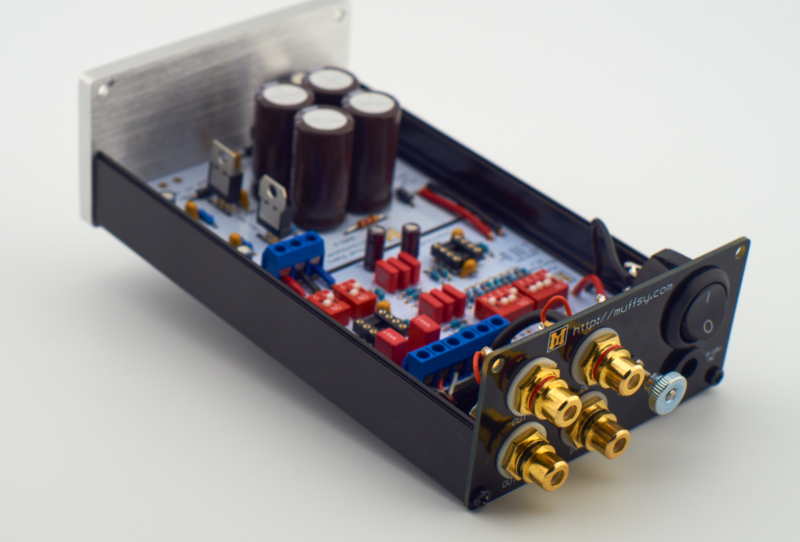 Everything needed to build the preamp is available on the hackaday.io project page, including shopping cart for the components. Visit Tindie to buy these two printed circuit boards for only $35!